Visibility/Location: This haunt has poor signage, and can easily be missed if someone does not have a GPS and is just using an address or printed directions. There are NO signs for the haunt on the main street leading into the haunt, and the turn into the haunt itself is a smaller side street that can be easy to miss from the main road. There is no signage on the outside advertising the haunt at all, and no actual signage with the haunt name until visitors have already purchased their tickets and are inside waiting in line. The only sign with an �Evil Intentions� name was a spray painted cloth hanging on the fence outside of the parking area that told visitors that this was indeed the parking area for the haunt. In fact, if the parking wasn�t there (with the Evil Intentions parking sign) you could easily drive by the haunt without even knowing it. That said, the parking area is decently sized, located right across from the haunt, and free. Wait Entertainment: On the night we were there, the �entertainment� consisted of two live actors standing at the outside of the haunt, one dressed as a clown and the other as some type of creature on stilts, as well as a projection of images on the wall of the building opposite the haunt. It was hard to tell what the images were, though. The actors didn�t really interact with us, although to be fair, there was no line outside of the building, so we were able to walk right in. The ticket booth is actually located a short walk from the street area, so when there are few people there no one is outside to be entertained. Also, there was a female ghoul just inside the haunt doorway who jumped out at us and walked along with us as we got our tickets. Again, I would assume there is more entertainment from the wait actors when there are more people. There were only three actors the night we went, though. The ticket line area was decorated like an old funeral parlor, with ornate chairs and a coffin. It added to the gloominess of the entire haunt. Scare Factor: High � this is a more intense, dark haunt. It is not family friendly, and it is more than simply people jumping out and saying �rah!� or something like that. Lots of creepy imagery, actors, and sets. Heavy metal music playing, disorientation, etc. Crowd Control: Patron flow was excellent on the night we went. There were about 30 people in line in front of us, but we never saw them, nor did we see anyone behind us during the event, despite the fact that we got temporarily lost a couple of times. The only time we met people was in one portion of the haunt that is meant to confuse, which made people take the same paths over and over. The patron flow is engineered so that people will be relatively alone, as that adds to the experience. In general, I�d just like to point out that this haunt is meant to be unsettling, and it succeeds greatly at that. I can honestly say that in my almost two decades of dedicated haunt visiting I have only felt creeped out three times, with the most intense creepy, �I want to get the heck out of this room� feeling happening at Evil Intentions. My skin was literally crawling in one room, and I felt a slight twinge of panic, as if I really needed (as opposed to wanted) to get out of a certain room. From the appearance of the haunt, this is what the Evil Intentions crew is going for, and in my opinion they achieved it. From the very beginning, the haunt looks depressing. For starters, it is housed in an abandoned casket factory (a true story). Not only is that creepy enough, but the building looks old and run down, from blacked out windows to gloomy red lighting. The lack of actual haunt signage only adds to the �reality� of it. There is also a heavy reliance on more devilish and Satanic imagery, starting with an inverted pentagram on the door that leads to the ticket booth. All of this contributes to a feeling of unease before visitors even enter the haunt. Once visitors buy their tickets, they are led along a walkway towards a pair of sliding doors. An actor dressed like a psychotic clown greets them and leads them in small groups inside the doors. Once there, visitors can see two cages, one on the left and one on the right, each with a seemingly motionless actor inside them. The cages are decorated like small living rooms, and on the back wall is the logo of the Elgin Casket Company, former owner of the Evil Intentions building. The clown host has you listen to the rules, then closes the double doors behind you. The lights go out, and then the fun begins! From that point, Evil Intentions is a maze of twisty corridors, loud music that plays in various odd patterns, strobe lights, and detailed set pieces. All of the sets are detailed, and include a toxic waste area in the basement, complete with dripping water sounds and the smell of oil, a morgue, a surgery, some creepy clowns in a playroom, and a strange set featuring a cased creature with a man�s body and a horse�s head who grunts and whines while making sparks fly by running some type of metal object against his cage -very unusual and unsettling. Again, the patron flow is set up so that there is a feeling you are on your own in a large area where ghouls and psychotic characters lurk around every corner. One clever room sees visitors go down into the basement and through a couple of sets with no one in them. Eventually, visitors find themselves outside of the sets an in a long corridor that leads to the exit. Suffice it to say that a surprise lurks in the corridor, and the empty sets are there to lull visitors into a false sense of security before they have to run for the exit! And the �exit� really isn�t an exit at all � it simply leads to the creepier portion of the haunt, the entrance to which resembles a satanic church, complete with large double doors and stained �glass� pentagram-shaped windows. Upon entering, visitors encounter a vintage living room wake setup, seemingly from the 1930�s, with wooden coffin, old telephone, radio, and furniture. Garbled Satanic voices play from speakers all around, mumbling in a language that cannot be understood, all of which tends to get the hairs on one�s arms standing up. Following the entryway, visitors wind up in a dark room where a live actor waits to jump out, as well as to guide them to the next room, which is by far the most unsettling in the entire place. The room features a black mass setup, with low lighting, flickering candles, chanting, and at least a dozen full size dark hooded figures. Visitors must navigate through the figures to find the door, which is not hidden, but it not obvious either. The low light and shadows make it very difficult to know if any of the figures are real or not, and the unsettling atmosphere makes you not want to find out. Honestly, I have been to many, many haunts, and I never want to run out of a room. I usually prefer to look at the sets, especially if they are detailed, and I also like taking a close look at the actors as well, particularly if they have well done costumes and makeup. This room, however, is different, and I found myself looking for the exit immediately. I had seen this room on my visit last year and knew what to expect, but despite that I felt the hairs on the back of my neck stand up and I felt as though I saw things out of the corner of my eye. It was truly the mark of a well done room setup! Following this room we found ourselves in a maze of bloody rags that we had to navigate through. As I was walking past on section, I felt the rags being jerked out of my hands from above. I looked up to find a female ghoul in the rafters, staring down at me and letting her long hair brush my face. It was most unusual and a bit unnerving as well. Following this, we came to face to face with a smaller female ghoul in Victorian dress, who was able to contort her body into various odd positions. She kept screaming about her missing doll and how we needed to fix it, then led us into another section which culminated in a large passageway made up of two inflatable balloons. All the while we could see this female ghoul running back and forth with her head bent at an odd angle, looking for her doll. When we finally made it through the balloon passageway, she was there waiting for us, arched backwards, with her head upside down so her eyes were staring up at us from underneath us, holding her severed doll�s head. Overall, it was a most effective display, and well in line with the creepiness factor of the haunt. The final section was a series of corridors shaped like coffins that visitors had to find their way out of. Two live actors kept popping out and misdirecting, but eventually they led us to a hidden wall and told us to lean against it, which then opened and sent out towards the exit. All in all, Evil Intentions was well done. Excellent use of space, lighting, music, and strobes, as well as convincingly creepy performances by the live actors that produced a very unsettling experience. 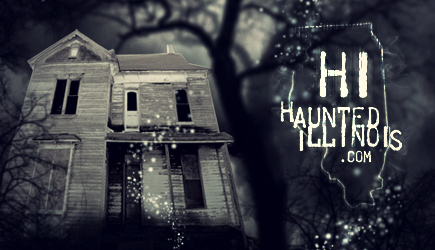 This was not one of those �fun� haunted houses where people scream and laugh because they are startled. This was a haunt that tries to freak visitors out and tries to make them scream and cry afterwards rather than laugh. It offered a few very unusual and creepy surprises, even for this veteran haunt goer. I�d recommend it if someone is really looking for an experience that they can talk about later, if only just to freak their friends out!